The euro and the dollar are nearly trading one for one, as the EU single currency continues to fall to new depths after the announcement of the ECB’s quantitative easing, the €1.1 trillion bond-buying program launched Monday. In early trading Tuesday, the euro lost more than 1 percent against the dollar to $1.0586, its lowest since March 2003. At the time of publication, €1 buys$1.06, whereas a year ago it bought 1.36, an almost 30 percent fall in value. 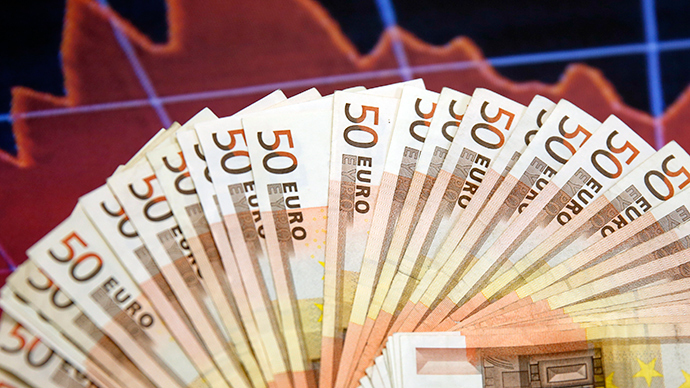 The euro has been on a steep decline since the European Central Bank announced its loose monetary policy in December. Since the start of 2015, it has lost more than 14 percent. "It's the euro versus everything," Stephen Gallo, European head of FX strategy at BMO Capital Markets in London, told Reuters. Against the pound, the euro dropped 1.15 percent, with one euro now buying only 70.18 pence, the weakest since November 2007. "The way these moves look is if it's not just speculators piling into euro shorts, it's actually a net flow of capital out of the euro,” Gallo said. 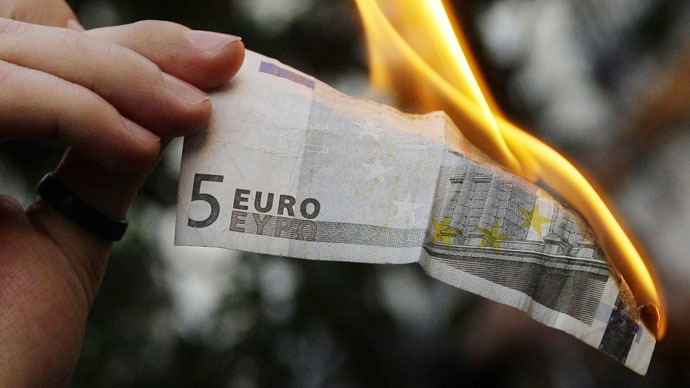 Other factors affecting the euro which is used by 19 countries, is the looming possibility Greece may again fall into a sovereign debt crisis and possibly leave the eurozone, which would send the currency sinking even further. ECB officials, along with IMF and European Commission, visit Athens Wednesday to discuss terms of a bailout extension. Another stressor is the resurgence of the greenback after it underwent its own quantitative easing from 2008-2014. Falling oil prices also contribute to deflation, or lower prices, across Europe. The European Central Bank launched its €1.1 trillion bond-buying program on Monday. The program will pump new money into the economy via central banks buying sovereign bonds in order to jumpstart the EU economy and steer clear of deflation. Inflation is hovering close to zero and nowhere near the ECB’s 2 percent target.